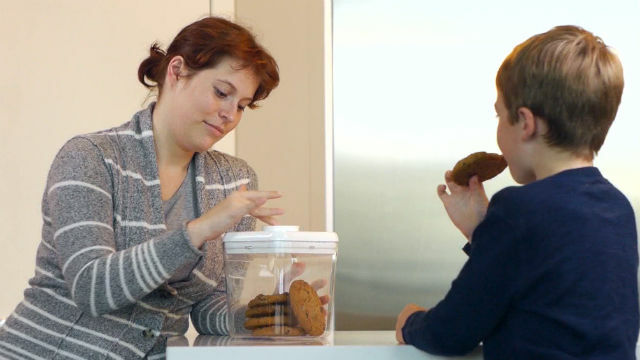 A mother locks cookies in a kSafe prototype. A San Diego startup is raising funds on Kickstarter for a unique product designed to give people the discipline to achieve their goals. The safe is controlled by a mobile app, and works with either iOS or Android devices. An earlier product, the Kitchen Safe, is similar but offers only a timer to control the lock. Warehouse Innovations, the company behind the safe product, is located in the EvoNexus incubator in downtown San Diego.